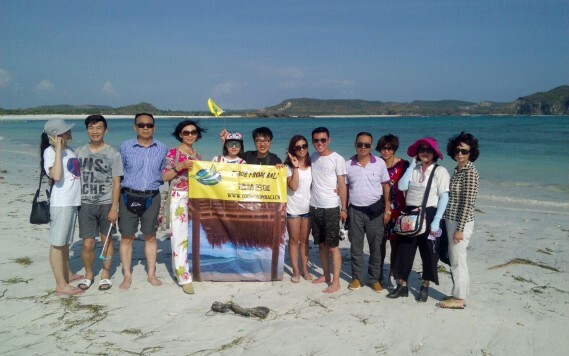 ★ Tangsi Beach – A pink sand beach you’ll never forget! Located just east of Bali with only about 30 minutes of flight time from each other, Lombok island is widely considered the untouched version of Bali. The small island is filled with amiable nature in its purest form; from the heaven-like peaceful white sand beaches to the enchanting waterfalls, and an active volcano that is known for its beautiful crater lake, Lombok island is the perfect getaway from the busy Kuta night life. 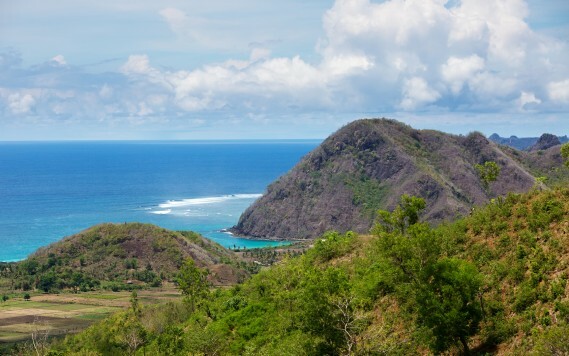 Contrary to the lively Bali, Lombok offers a laid-back atmosphere where time stands still. A hidden gem where the nature remains untouched. In additional to the crystal blue water surrounding the island, the island is also home to Mount Rinjani, the second tallest volcano in Indonesia (3,726km). 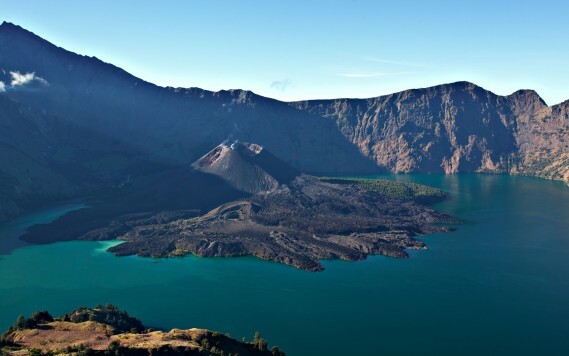 Sitting in the northern part of the island, Mount Rinjani is known for its crater lake – the Segara Anak. A volcanic cone, Gunung Baru, is located at the west end of the lake. Together they create a breathtaking view that is simply not quite like anything else. But the beauty of Lombok goes beyond that; in fact, most of the island’s visitors find themselves spending their time by the water the most. The most popular beach on the island is the Senggigi beach, it is often the first stop on the island for many visitors as most of the hotels and a good number of restaurants are in the area, making it the spot to socialize with other travelers after a day of nature sighting. 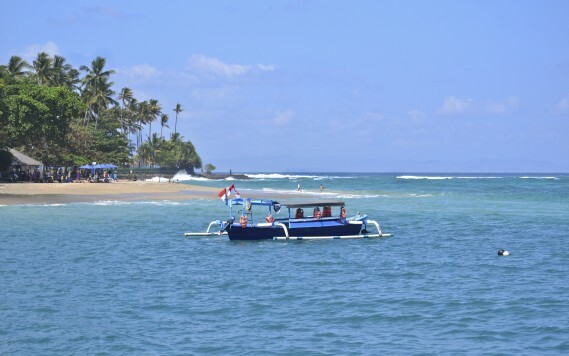 Kuta beach is another popular destination on the island, visitors are charmed by the relaxed atmosphere, and often just spend a big chunk of time dipping their toes in the water, without a worry in the world. Furthermore, the unspoiled nature at the Katu beach has earned the beach the nickname “Yesterday’s Bali”, affectionately given by locals in appreciation of its calmness and pure beauty, making it a top destination for nature lovers. An interesting fact about the Lombok island is that its deep sea is sitting right on the Wallace Line – A faunal boundary line that separates the ecozones of Asia and Wallacea, making it a transitional zone between Asia and Australia. 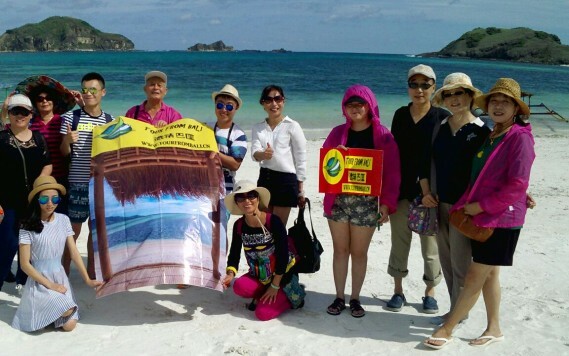 So don’t be surprised to see Australian plants and wildlife on this south east Asian island. 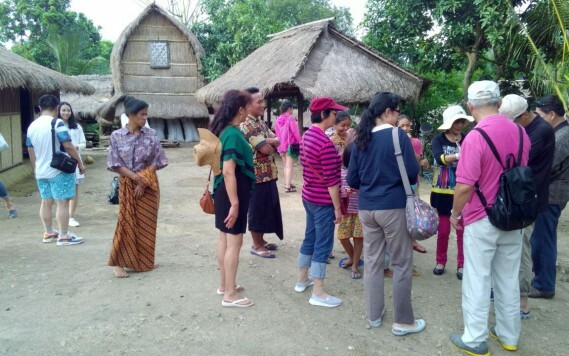 The island’s inhabitants are mostly Sasak, with a small percentage of Balineses, Sumbawanese and others. 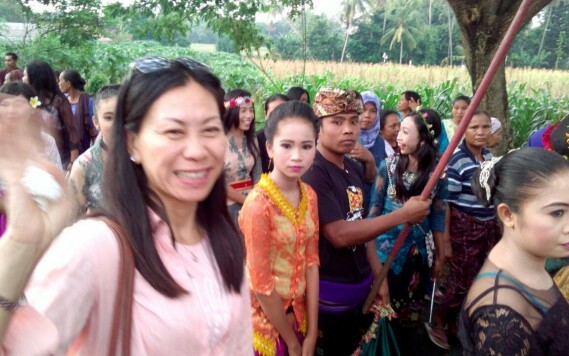 Although the Sasak population are similar to the Balinese culturally and linguistically, unlike the Balinese, the Sasak is largely Muslim and the island’s daily activities are greatly influenced by Islamic traditions. Other than the breathtaking outdoors, Lombok is also rich in traditions and culture; a good number of traditional villages are still well kept on the island, where the traditional houses, craft of textile and potteries are alive and well. Mataram is Lombok’s largest city and the provincial capital of the island. In the early seventeenth century, the nearby Balinese took control of the western Lombok from a Sasak prince while the eastern Lombok was taken over by the Makassarese, the island at some point was even under the ruling of the Dutch. The people of Lombok are friendly, laid back and known for their genuine smile, making a visit to this peaceful island even more enjoyable. The Gili Islands consist of three tiny islands, together they are one of the most popular snorkeling and diving destinations, suitable for all levels. Although these three tiny islands may feel like Bali at times, the residents on these islands are mainly Muslims, allowing visitors to experience a different culture from what you see in Bali. Gili Islands are famous for its laid-back vibe, with a variety of beach front cafes and restaurants for visitors to just sit back and unwind. The fact that none of the 3 islands permit any motorized transportation only contributes to the free and easy life style that will hit you in the face from the moment you step on the island. Our driver will pick you up at your accommodation, then take you to the port to catch the fast boat to Lombok Island, upon arrival, you’ll first be able to relax at a beach front café, enjoy Lombok’s white sand beach, and the authentic local cuisine for lunch. After lunch and a good look at Lombok’s most popular beach – the Senggigi beach, you’ll be taken to some even more laid-back, less crowded beaches – the secluded Mawun beach and pink sand beach, Tangsi beach. After a nice relaxing afternoon of beach hopping, you’ll be taken back to Senggigi beach for a beach front dinner, and a more lively evening on the lively beach of Senggigi. 12:00 Local cuisine for lunch! 13:00 Enjoy the Gili Islands water! After enjoying your breakfast at the hotel, our driver will meet you at your hotel to pick you up, and take you to the port for a fast boat ride to the Gili Islands, upon arrival, a horse carriage tour around the island is arranged for you to experience the island and its charms in its original form. After the carriage tour, you’ll be taken back to the water where it’s heaven on earth for snorkeling, diving, and various water activities. After an afternoon of fun on (or under) the water, you’ll be taking a fast boat ride back to the Lombok island around sunset. 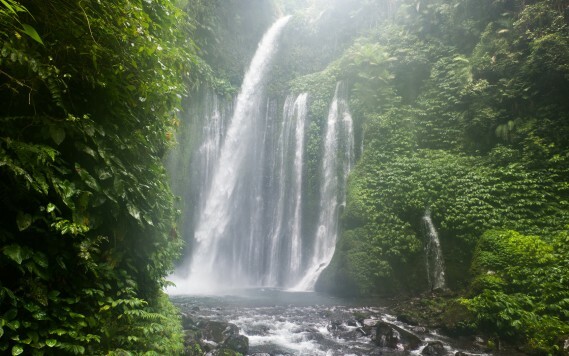 Now that you’ve spent the past 2 days having all the water fun there is to have, it’s time to see the other side of Lombok island, start with the Monkey Forest, and then a nice walk to the waterfall. You’ll have the option to have lunch on the island or take the boat right back to Bali after a morning spent in the lush.